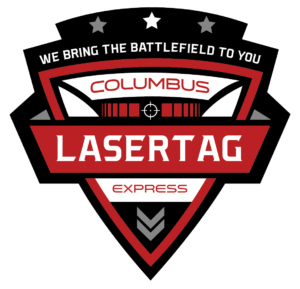 Columbus Laser Tag Express is a division of Buckeye Video Game Truck, its a great addition to our mobile party options! Be the first in your neighborhood to host the coolest laser tag party ever! 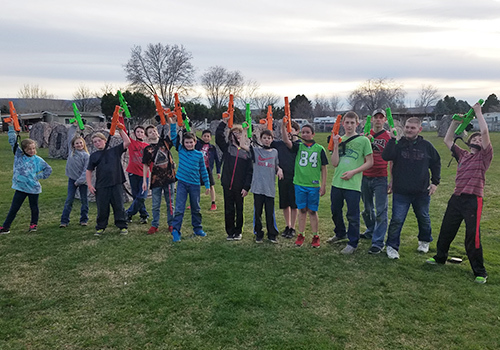 Our indoor/outdoor laser tag party offers the perfect combination of convenience, excitement, competition and ridiculous fun. Imagine a battlefield in your own backyard, park, gymnasium or place of business. Experience the thrill of Laser Tag on your terms at your location. Our Game Coach will arrive at your location, customize a battlefield with our pop up barriers and keep the party moving with a variety of game modes. We feature Laser Taggers that shoot a harmless infrared beam (Similar to your TV remote). It is totally safe and just good clean fun for all! Our missions are all gender and age neutral and can be played either indoors or outdoors in daylight or at night. Since the typical round last 8 to 10 minutes, we can easily entertain small parties to large crowds! Check out our FAQ for more information! Party Host (Parent) can locate the Laser Tag Liability Release (Waiver Form) for download and printing HERE. 2 Hours Total of Non Stop Fun!